Professor Frederick Douglass Opie reveals the important anthropological work done by the author regarding food and social rituals. More than half a century after her death, most of Zora Neale Hurston’s readers know her primarily as a novelist. But Frederick Douglass Opie, Professor of History and Foodways at Wellesley, Massachusetts’ Babson College, argues that the writer ought to be remembered as a food sociologist as well—one who helped document the culinary culture of her home state, Florida. 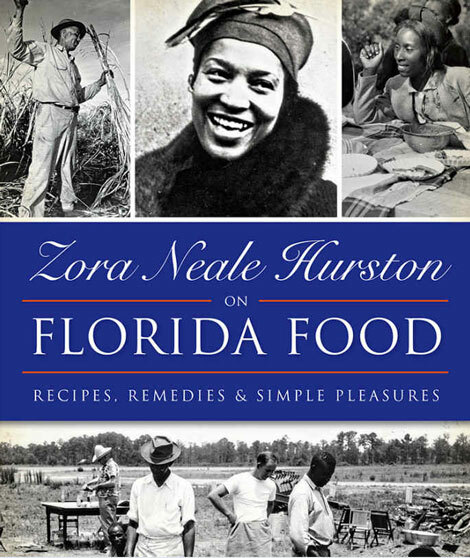 In a lecture to the Culinary Historians of New York at Brooklyn’s Lafayette Presbyterian Church last Wednesday, Opie, the author of Zora Neal Hurston on Florida Food, guided attendees through Hurston’s lifelong experience studying and cooking food in the early 20th century. A “PK,” or preacher’s kid, Hurston actually grew up in Eatonville, Florida, the country’s oldest all-black township. Though she’d later return to Florida and its food culture as an ethnographer, Opie began his account in earnest with Hurston’s arrival in Washington, DC, after years spent supporting herself as part of a traveling theater troupe. She arrived in the city at the same time as Langston Hughes, another future pivotal figure in the Harlem Renaissance, though the two wouldn’t actually meet until both relocated to New York. Hurston took classes at Howard while waitressing at a local restaurant named, ironically, after her hometown of Eatonville. From Howard, Hurston earned a scholarship to Barnard College in New York, enrolling as the only African-American student at the women’s institution at the peak of the Renaissance. While studying under Franz Boas, now regarded as the father of American anthropology, Hurston once again made ends meet with food, this time by selling Florida-style chicken (as opposed to fried chicken) out of the shared kitchen of her Harlem boarding house. She’d also bake coconut layer cakes as thank-yous to benefactors like Annie Nathan Meyer, the Barnard trustee who secured her scholarship. Hurston finally earned her bachelor’s degree in 1928, at the age of 37, though she never told anyone at Barnard she was older than the average undergrad. She then began her career as an anthropologist in earnest, returning to Florida on a professor’s advice to research African-American communities that had never previously been considered worthy of academic scrutiny. Much of Hurston’s resulting research focused on the intersection between food and social rituals. She observed, for example, the “triad” of food, alcohol (typically moonshine) and music to leisure time in Depression Era Florida, both at everyday gatherings like work camp “juke joints” and special occasions like barbecues. She also collected folklore with food at its center in both Florida and Louisiana, where she’d later travel to study Voodoo, noting the enduring significance of both rice and the color white reflected in foods like poultry and eggs across the African diaspora—symbolism with direct roots in African religions. Opie compared Hurston’s methodology in studying these communities to modern-day war reporters. “Embedding” herself in work camps, Hurston would befriend women in order to observe their husbands without suspicion, and hide under chairs in juke joints when violence occasionally broke out. Her experience and ingenuity, unfortunately, wasn’t enough to overcome the prejudices of the Jim Crow South, and Hurston was still subordinate to less-experienced white colleagues when she was employed as an ethnographer by the Works Progress Administration under the New Deal. Yet the WPA, Opie noted, yielded some of Hurston’s best-preserved anthropological work, which is publicly available at archives around the country. Though Opie’s talk focused on Hurston’s work as a researcher, he also noted food’s prominent role in her fiction, including her best-known work. The opening scene of Their Eyes Were Watching God, after all, sees protagonist Janie’s friend bring her mulatto rice, and Tea Cake’s willingness to cook for Janie distinguishes him from other love interests of hers. Both scenes, Opie argued, reflected Hurston’s interest in not just its food, but its intersection with social practices. 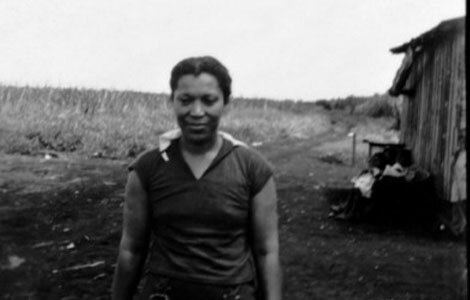 Late in her life, financial difficulties forced Hurston to work as a domestic laborer, and her work was nearly lost after her death in 1960. 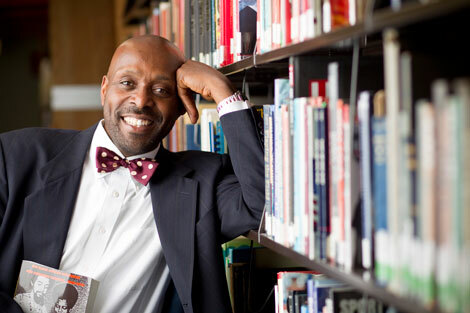 But even though her literary reputation is now unimpeachable, Hurston’s work as an observer of African-American culture, including its food ways, is less widely recognized—a fact Opie is doing his best to change.